Wolf-Henning Scheider: Bosch will supply Google with an electric motor and the long-range radar. Editor’s note: An earlier version of this story had an incorrect date for Scheider’s scheduled move to Mahle. DETROIT -- Germany's Robert Bosch, the world's largest automotive supplier, is preparing to roll out the technology needed to allow cars to pilot themselves and change lanes at high speeds on the autobahn. Bosch has production contracts to supply radar, cameras, control units and other technology needed for partially autonomous driving in 2017 and 2018, said Wolf-Henning Scheider, a member of Bosch's management board. Bosch has production contracts to supply components for integrated highway assist and highway assist in 2017 and 2018 for an unnamed customer, Scheider said. The technology for the last two phases -- highway pilot and auto pilot -- is not yet ready for production, he noted. The company already supplies components for traffic jam assist, in which the vehicle drives itself at low speeds on the highway while staying within its lane. Bosch also is working with Google to develop a small fleet of driverless cars. Scheider said the company will supply the electric motor and the long-range radar. 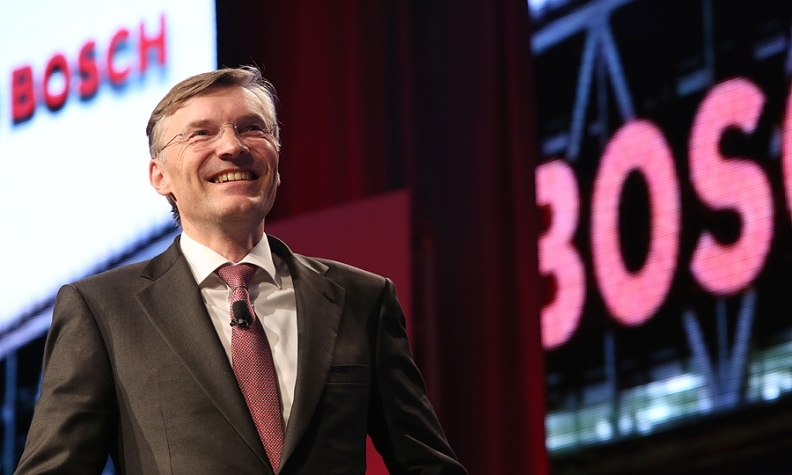 Scheider is leaving Bosch to join Mahle as vice chairman on April 1. He will become chairman July 1.